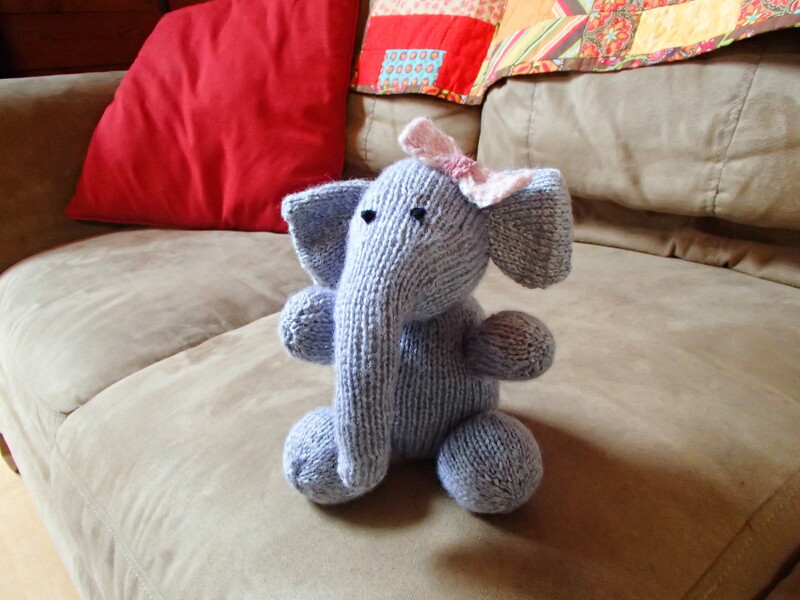 I knitted this little guy for our niece Scarlett for her b-day! Scarlett (i.e. her Mom) loves elephants. 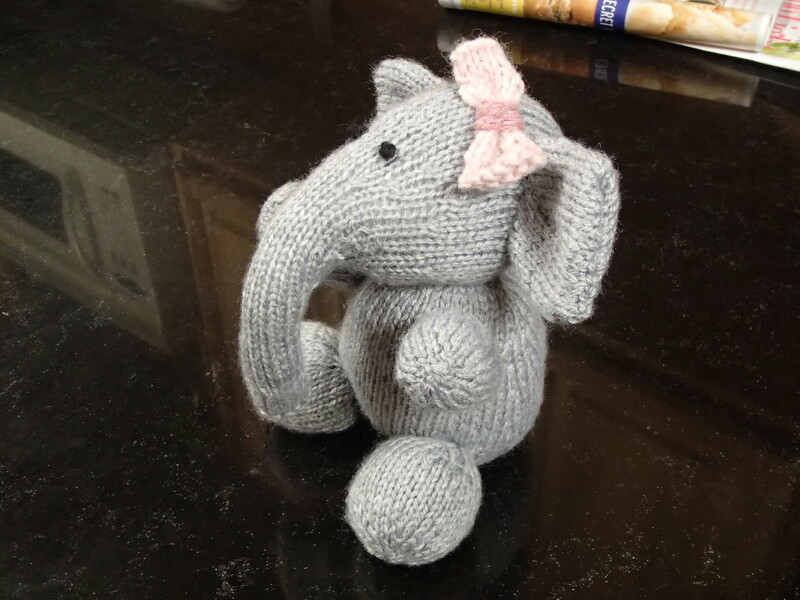 The pattern was “Bloomsbury Elephant” from Fluff and Fuzz etsy shop. Scarlett loved it — Victoria took a picture of her giving it a big hug. Great work Rachel, it is adorable! Amazing work!!! You are so talented my sweet friend 🙂 Scarlet is one blessed little girl. 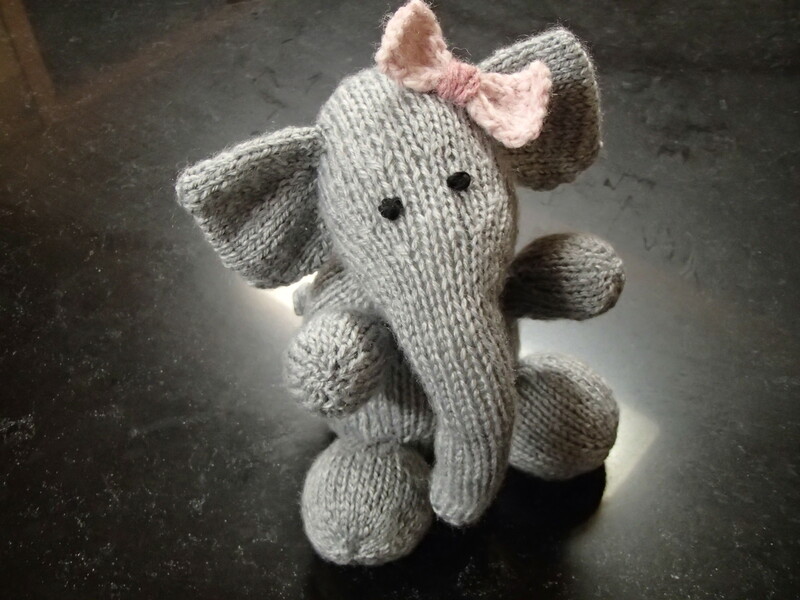 This is the sweetest little elephant! Great job!